Check out the short video introducing our new feature Professor Gamer as well as his first article for the site! After reading The Function of Role-playing Games by Sarah Lynne Bowman (2011), I felt it was most appropriate to begin a longer discussion about the healing powers of video games rather than a single review of the issues she raises in her work. In the subsequent parts I will discuss her views on the concept of using role-playing to heal communities as well as the ability to solve problems, explore identity and eventually serve other social functions like dealing with bigotry and racism. But today, I want to offer a look at the roots of role-playing games, why they might potentially offering “healing practices” and my own personal experience and fascination with this genre. My first experience with the action adventure genre and introduction into the fantastical world of RPG games began when I was about 7 years old and to my great delight my father brought home a new Super-Nintendo entertainment system, complete with a new controller and my own copy of The Legend of Zelda: A Link to the Past. I can remember the first hours of my gaming experience as I marveled at the eerie feeling of being trapped inside a medieval dungeon and finally the wonderful exuberance as I emerged from the first quest to a bright landscape revealed by the afternoon sun. After playing this game, I went outside and did my own self-play using the Hyrulian characters and putting them in interesting and novel situations. These games helped me to create my own narratives and facilitate my inquisitive nature and creative side. Little did I know when playing The Legend of Zelda that this action adventure game would help me transition into the world of role-playing games like Final Fantasy and others. Moreover, as I continued playing these games I learned about several unique cultural developments which had made the genre possible. First, the common medieval themes in role-playing games are partially the result of the paperback release of J.R.R Tolkien’s Lord of the Rings book, which became “tremendously popular, especially on American college campuses during the late 1960’s and 1970’s” (Bowman, 16). The success of this work led to resurgence in the genre of fantasy fiction and inspired a plethora of other works based on the Tolkien taxonomy (elf, human, orc, hobit, etc.). Moreover, resurgence of interest in the realm of the fantastical meant several things to Tolkien. According to Bowman, narratives served three important functions for Tolkien. First, they allowed people to escape the mundane in order to recover a sight that was previously obscured. Furthermore, the participant in the fantasy received a sense of Consolation and moral reinforcement, which Tolkien called eucatastrophe, or a “climactic affirmation of both joy and light; pleasure alloyed with moral confidence” (56). Rather than despair which is present in the genre of horror and speculative fiction, Tolkien claimed that fantasy led to “moral rearmament” of the individual in addition to simply a necessary escapism (ibid). 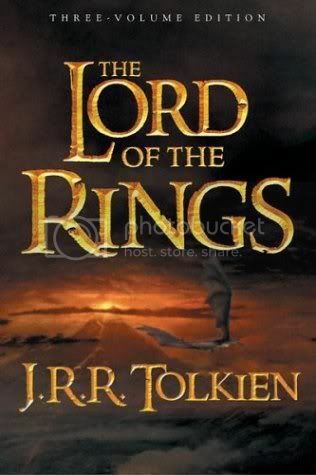 In this way, fantasy narratives like Lord of the Rings allowed readers to experience both joy and pleasure, but also to begin to reclaim some of the more heroic aspects of their lives. This sense of new found heroism and mysticism about the world, helped many readers reclaim individual and collective agency as well as a re-enchantment with the world. Following the emergence from the rigidity of the 50s, people were able to reinvent themselves in a variety of ways. The Society for Creative Anachronism or SCA emerged in 1966 from a group of friends as a “medieval style going away party” eventually growing into a non-profit educational society which attempted to “create an idealized version of medieval life emulating chivalry, honor, courtesy, beauty and grace without such inconveniences as the Black Plague, Inquisitions, and intercultural strife” (18). In this idealize version of life, members would develop an “alter-ego that gradually evolves... from the social and historical influences of living within this shared alternate reality” (ibid). One particular form of communal reenactment that emerged during the fascination with medieval fantasy was the Dungeons and Dragons game. D & D was a unique blend of role-playing and strategy which combined themes present in Tolkien, the concept of the alter ego implicit in communal organizations like SCA, and the tactics of war simulations games also growing in popularity. D & D introduced the role of an impartial referee, allowed participants to identify with a particular individual rather than the whole army (like in chess), introduced the concept of a story-line or campaign rather than a single battle (as players journeyed to enter dungeons and explore caves), and it allowed characters to perform a multitude of actions beyond fighting (Bowman, 20). 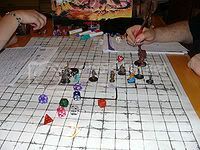 Moving a D & D structure into the world of science fiction, other role-playing games introduced the notion of skill building and further refined the sense of epic exploration. Although these themes had been present within literary genre, video games brought the player into a unique relationship with fantastical worlds they now journeyed to explore. As the battles became in a certain sense more personal, this also gave way to a new way to explore the inner desires of the player and perhaps confront some subconscious desires. As Generation X began to challenge the materialism and inequalities of the generation before, their attitudes of criticism of power and privilege inspired a new kind of introspective gaming experience. 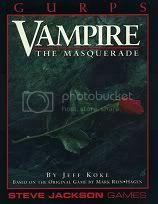 White Wolf’s Vampire: the Masquerade (1991) game serves as a “direct thematic response” to the concerns of Generation X. The subtitle to this game, was a “storytelling game of personal horror” bringing together the “conventions” of a romanticized Gothic world with the aesthetics of punk culture (Bowman, 22). In this game, you play the role of a vampire who struggles to negotiate a predatory nature with a sense of compassion in a world which displays the victories of greed, corruption and moral bankruptcy. Thus, as you play the role of vampire you not only must overcome the brokenness of the world, but you confront uncomfortable choices and analyze the moral consequences of your actions in a more personal and profound way. While this short history is incomplete, one can see how the themes of escapism, community and introspection have become an essential part of the gaming experience. In this way, the player in the role-playing game is presented with a new set of choices that allows them create a new identity and explore alternative desires. This begs the question, can the RPG provide a way to challenge players and transform their social relationships, or do they simply distract you with brainless “level-grinding” exercises that do no more than keep you addicted to playing the game itself. When we are talking about healing, we are primarily talking about the restoration of social relationships and emotional healing rather than physical healing (although game devices can be used to accompany physical rehabilitation programs), meaning the development of a web of social relations and connections which build up the individual. But, in a video game can such a form of “healing” become realized if the world in which social interactions takes place is a virtual one? The next post will cover how video games connect individuals to a community, and a critical look at how the online or virtual community helps individuals to build social webs, and recover from feelings of loneliness and isolation. About the Author Tim Urista is a student of the Claremont School of Theology. 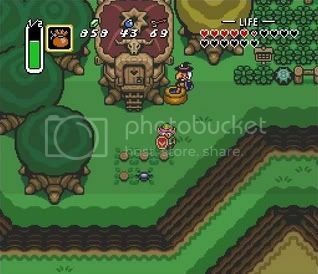 He's a longtime Zelda fan and an old-school gamer with a lot of love for the storytelling capabilities of video games. As Professor Gamer, he shares his insights into the world and history of the various gaming genres and franchises. Tim Urista es estudiante de la escuela de teología en Claremont. Es fanático de Zelda y jugador de la vieja escuela con mucho amor para la capacidad de contar cuentos en videojuegos. Como nuestro profesor compartirá sus puntos de vista hacia el mundo y la historia de los varios géneros y series de juegos.